Even though Mumbai City FC struggled in the later stages of the tournament, they had enough points in their kitty to make it through to the last four. Jorge Costa did a fairly satisfying job with the footballers at his disposal, especially after a low lying 7th-place finish in the Indian Super League last season. But they would be rather disappointed not to make it to the finals for the second time in a span of three seasons. 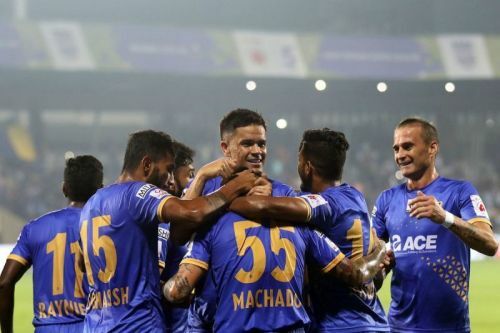 The 1-5 defeat to FC Goa in the semi-finals was a heart-break to them, and even though they won the return leg 1-0, the damage had already been done. The loss to bottom-placed Chennaiyin FC in the Super Cup piled on their misery. In spite of the losses, there were a lot of positives which emerged from the campaign, while there are also a few areas where they should improve before the next season kicks-off. Matias Mirabaje was the pick of the players for Delhi Dynamos FC in the previous season, even though the team finished in eighth place. Mumbai City FC were quick to secure the services of the Uruguayan playmaker for the following year, but he failed to replicate his natural game for his new team. With no assists to his name, Mirabaje was a flop for the Ranbir Kapoor owned side. The only silver lining to his stats this year has been the goal he scored against the Kerala Blasters FC. Apart from that, he has been pretty ordinary throughout the 15 matches he featured in. Even though his side managed to get a top-four finish, the management may overlook Mirabaje in the next season looking at his recent performance. 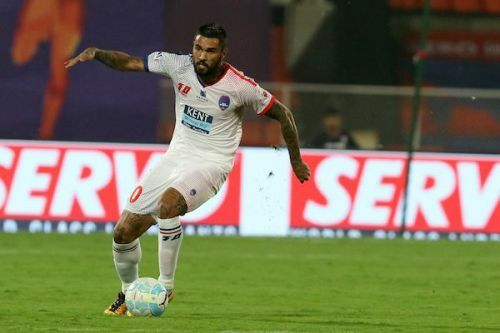 ISL 2018-19: Should Matias Mirabaje leave Mumbai City FC?